We have to say that the guys from the SR Auto tuning company have really outdone themselves when pulling the great tuning package on a Lamborghini Aventador. The aftermarket specialists from SR Auto have tweaked the Lamborghini Aventador with their newest tuning package, the supercar coming now with an amazing design. 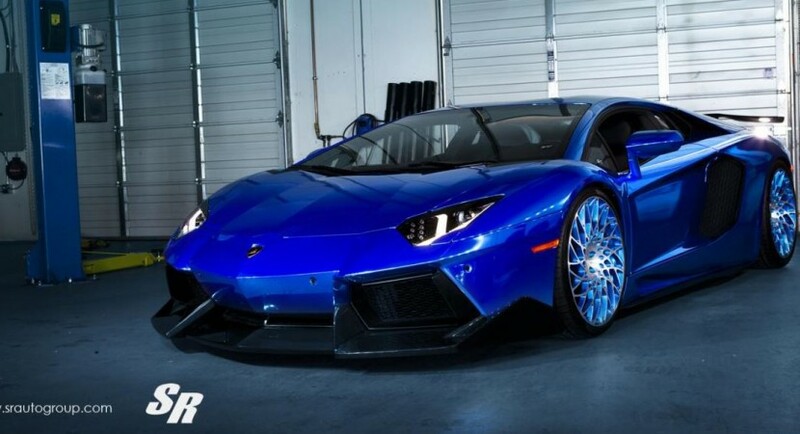 The Lamborghini Aventador seen here in the pictures is coming in an electric blue shade, also wearing a choice of 20- or 21-inch wheels. We are talking about the PUR aerodynamics kit which includes the signature side skirts, larger splitters, a revised rear wing and rear diffuser and other fresh components from carbon fiber. However, the SR Auto tuning hasn’t managed to improve the supercar`s performances, meaning that the Aventador will be powered by the same 6.5-liter V12 naturally aspirated unit, developing 690 horsepower and 690 Nm of torque. Hooked to a 7-speed semi-automatic transmission, the Lamborghini Aventador is capable of reaching the 0 to 100 km/h in just 3 seconds, at a top speed of 350 km/h.